I want to support the park. How can I make a donation? 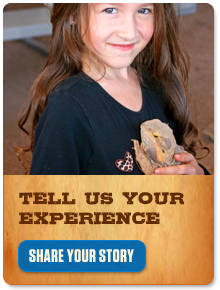 Click here to see the many different ways you sustain the sanctuary by getting involved or making a contribution. We are forever grateful and humbled by the continued support we receive from those who share our mission and purpose: to preserve and enrich the lives of the animals that live here and be the ambassadors to those without a voice.